Because the most important investment is life itself. 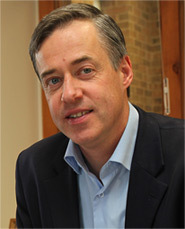 James Kelly is co-founder and current principal of Paladin. For 18 years, he has enjoyed working with pro-life Catholics and organizations in meeting their financial needs. He began his career at Merrill Lynch, where his father worked for over 30 years. James serves as an officer for the Donald J. Kelly Foundation, a private foundation that assists in funding Catholic pro-life educational causes. He is a Charter Member of the National Association of Christian Financial Consultants. He resides in Front Royal, Virginia with his wife and children. "According to the teaching of the Gospel, we are not owners but rather administrators of the goods we possess: these, then, are not to be considered as our exclusive possession, but means through which the Lord calls each one of us to act as a steward of His providence for our neighbor." Jim Kelly is a Registered Representative of and securities are offered through LaSalle St. Securities LLC (LSS), Member FINRA/SIPC. Mr. Kelly is an Investment Advisor Representative of and advisory services are offered through LaSalle St. Investment Advisors LLC (LSIA), a Registered Investment Advisor affiliated with LSS. Paladin Financial Group is not affiliated with LSS or LSIA. Investing involves risks, including the risk of principal loss. The strategies discussed do not ensure success or guarantee against loss.